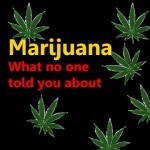 More deception on-line about marijuana use! 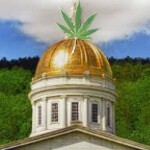 Bob Orleck comments to article appearing in vtdigger.com. You point to a 1933 report that I would not even bother reading let alone using to support a 2016 position and yet you ignore the recent report from our own Vermont Department of Heath that counters everything you are saying. 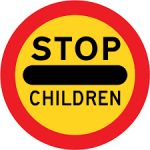 You rely on name calling and comparisons that are inappropriate instead of listening to the medical and education experts that almost universally tell you the harm this will cause to children. You stick you head in the sand and say that legalization will not increase use. Sure, that’s why people go into business. So they can sell less. How much sense does that make? You ignore the facts that where marijuana has been legalized the reports show in fact that the incidence of use increases. You are the one spreading misinformation and death on the highways is not a “beside the point” issue for those whose lives are lost and the families who are damaged forever. You worry that we are lying to our children with the result that they won’t believe us. Well you should worry about that because you are spreading the lie and so will the State of Vermont if they pass this legislation and set up stores to sell this dangerous drug. Children will think that if it is OK for Mom and Dad, why isn’t it good for me. So when the folks tell them that “you are too young and it’s not good for you and you should wait”, why would they? Then I ask, why the parents would even tell them to wait anyway if it is so safe. They will use it anyway. Sounds like a big dose of hypocrisy, doesn’t it? Finally your thoughts on reducing the use of opiates if we make it easier to get marijuana to help control pain shows you lack any understanding about marijuana and its current status under law. First of all, marijuana will is not a pain killer. Second, if there is a medical need, the drug is already legal and finally no one is going to jail because marijuana has been decriminalized for years. No one is being made criminals as you say. Some plain talk is due here! This is about gaining large amounts of revenue at the risk to our children, the mentally ill and those who use our highways and byways. Those are the facts and what you are spreading is the deception! 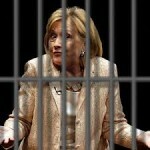 Hillary is guilty, no doubt about it! Hillary Clinton at one point denied that she ever sent “classified information” through her personal server that she had set up. Later she changed that to her never having sent information that was “marked” as classified. She then goes on and on about the unfairness of “retroactive classifications” as if what she did was an innocent mistake and the fault lay with Department of State. When Bret Baier, at a town hall interview on March 7th, asked her whose responsibility was it to make a message classified, she said it was the State Department’s obligation. Any thinking person should have a problem with that. Unless she asks for prior authorization on all her emails from the State Department, and we know she does not, how could they mark any of them at all unless it is by doing it retroactively? In other words, she can send the most sensitive of national information and not be held accountable because she sent it free of review by the State Department. We have no way to guard against a Secretary of State from sending highly secret communications that endangers our national security by private email. Simple as that! Case closed! Sentence 20 years at hard labor! That was easy! Does anyone see a flaw in my thinking on this? Legalization of marijuana has a high price! Some wish that marijuana had never been illegal. Some wish it never existed. It does exist though and it is no longer criminal to possess a small amount of marijuana for personal use. We can’t undue the past and we must live with the present that the drug is plentiful and people will use it. Marijuana was decriminalized years ago and that is what the state of the law is now! Yet so many people still get so exercised about the need to legalize it to prevent people from getting a criminal record for using it. Yet the truth is that no one gets arrested in Vermont for marijuana possession anymore. So why this pressing need seen by some legislators to legalize marijuana? The answer is money, plain and simple and opportunity. The *proponents of this legislation know that there are a large number of people who want to legalize marijuana for differing reasons and they see the opportunity to use the legalization issue to motivate support from these groups to accomplish their completely different purpose. The proponents want to keep their true motives under the radar so they deceive by underestimating the amount of revenue they expect. The Joint Fiscal Office focuses primarily on local users and ignore those coming from out-of-state to buy, so called drug tourists. These proponents want to create stores to sell the drug so they can bring in millions of dollars in tax revenue from the 25% on the product. I submit that these people could care less about the legalization issue. They claim they do and that legalization is about getting rid of the black market and illegal drug dealers. If the proponent’s real goal was to do that, all they would have to do would be to make growing and using small amounts of marijuana for personal use legal, period, and that would do it. Why would people buy illegal when they can easily grow their own legally? But no, its about creation of legal stores and possibly as much as $75,000,000 in yearly tax revenue, most of which will come from drug tourists who will come, buy and drive impaired, killing some of us without a doubt. The love of money is the root of all evil and this legislation has deep evil roots this way. This will be dirty money taken in at the expense of Vermont’s citizens. Let’s hope that the House of Representatives is wiser and more caring for our people as they deliberate. “You’re Not The Man Who Served ON USS ORLECK DD 886”. Believe it or not, destroyers have memories! This is the truth! Each and every incident that ever occurred within visual range of a destroyer is recorded much like a DVD can record information. The DVD, as you know, can hold a tremendous amount of material in the form of data, pictures and sounds. When you consider that the DVD is just a tiny piece of circular plastic and that it can record such volumes of material, it is not difficult to extend the thought that a destroyer with all of its available surface area could record an endless amount of the same. Destroyers such as USS ORLECK DD 886 were very sophisticated and were designed to record those very things deep in their hulls and decks. Their technology far exceeded the DVD, however, for they could detect and record much more than just what happened there. They could record what was going on inside each and every man who ever was aboard. They keep forever the thoughts, fears, loves, losses and even a DNA profile of each person. Yes, it is true! I just hope I have not disclosed some yet classified material on the subject. I have tried to have a little fun with what is a real and serious concern to me, that some don’t feel the same about USS ORLECK because she was changed in 1962. Some actually wanted to put her back to the configuration she was in prior to her undergoing her FRAM II conversion. It is time to review and reconsider those positions. When you first started to read this article you may not have known what I was driving at. I think that most of you do now. Just to make sure, I would suggest you go back to the beginning of this article and read it again before proceeding further. If you have followed this suggestion and you are back to this point, I believe the lesson has sunk in. I would think that most people who are reading this know that USS ORLECK was commissioned 15 September 1945 in the Class, Gearing, Long Hull. Her length on that date was 390’6″. A lot of distinguished history passed that is spelled out in other places, until August 1962 when she returned to the west coast for Fleet Rehabilitation and Modernization. USS ORLECK went to Long Beach from December 1962-November 04, 1963 where she underwent FRAM conversion and took on advanced equipment and weapons which included the ASROC and DASH. Contrary to what some might believe, at the end of this process, USS ORLECK was still 390’6″ long. They did not cut her in half and add onto her length as some have mistakenly believed. She is the same ship with the same equipment. Granted, she looks different, but so do you! Throughout her career, USS ORLECK had changes made to her and that even continued through her years as the Turkish warship, TCG YUCETEPE D 345. While they are not as dramatic as the FRAM conversion, I dare say that there had to be some changes to USS ORLECK in some way every year and probably every day. Yes, the changes made to her superstructure were dramatic and indeed the untrained eye would clearly decide that we have two different ships here. It is a fact, however, that the destroyer, USS ORLECK DD 886, commissioned in 1945, is the same destroyer that was FRAMed in 1962, transferred to Turkey in 1982 and brought back to the United States in 2000. During the years 1945-1982, there has been but one USS ORLECK. Through all of those years, she was the wonderful ship that took you to sea, carried you over rough seas to dangerous places and brought you back, safe and sound, to your loved ones. She kept you safe and warm inside when typhoons raged outside. She put her body in front of you to protect you from enemy fire. When we get older our outside body changes dramatically. Most of us stay the same inside. I am speaking of that inner person we are and not about the pipes and other equipment that wears out on the inside body. I am far from an expert on this, but I am told by many who have visited her since her return, that USS ORLECK has changed very little inside. Some of her pipes and things are wearing out. Even so, for those who spent a lot of time inside USS ORLECK, a visit now will reveal to you that in fact, this is your ship! Not much has changed at all. If you chipped or wrote something on a wall close to your bunk, there is a good chance it might still be there. USS ORLECK DD 886 is your ship no matter what! Some say that she really did not need those new weapons and they were not that effective in any event. Some say that it was a mistake to FRAM these destroyers especially in the hindsight light of the war in Vietnam where she needed all the 5 inch guns she had and more for shore bombardment. However at the time when she was FRAMed, the military minds thought we needed it and the fact is hard to dispute, that if they had not chosen to do it that way, they would have decommissioned her and would have built other vessels to support the weapon technology then available. I hope all who served in USS ORLECK prior to 1962 will realize that this is your ship. She may look a bit different than she did when you were aboard, but she has your history inside her and you will always be a part of her. You need to come to Lake Charles and work on her and help her out . She needs you and with some work and love, we can get her in the shape that will remind you of your time aboard, when you were young and looked different than you do now.